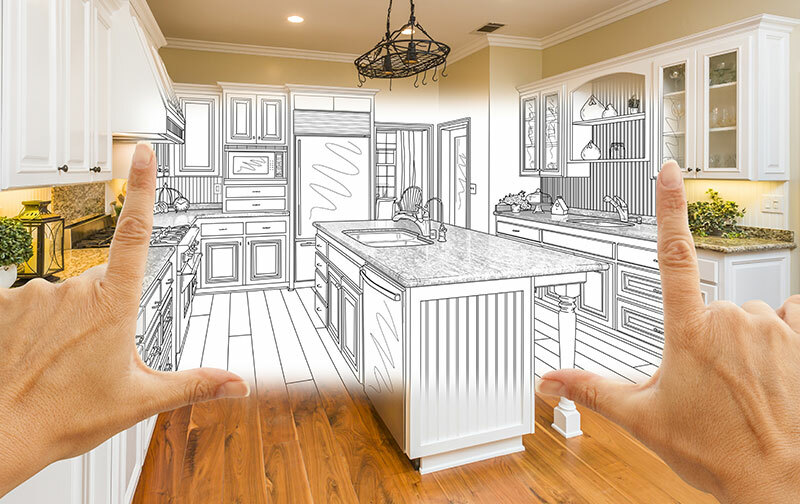 Does a home remodeling project have you stuck? Houzz to the rescue! Houzz is a free online community. It was especially created for homeowners to help make their remodeling projects successful. You can use the service to gather ideas and look-up information about products. Back in 2009, Houzz started with a house. Houzz’s cofounders—overwhelmed with planning their own renovations—wanted a better way. So they created one. Today Houzz connects more than 40 million homeowners, design lovers, and professionals. It’s visuals-based and features a library of over 15 million photos of home design ideas. Houzz also has an archive of renovation articles and set of tools to ease collaborating. And, what makes Houzz an even better resource? Now, you can connect with Kermans Flooring. Share your research and collect feedback. Houzz makes finding flooring inspiration easy and efficient. With Houzz, there’s no more need to look all over the web to find different products and current trends. It’s all there. Find inspiration that best suits your project goals. Search by price-range, brand or products, room type, trend or design style, and more. Find too many results? No problem. With Houzz, you can refine and sort your search results to narrow in on exactly what you’re looking for. When you’re done searching and your project is underway, you can use the Houzz home design app to wrap-up your plans. It lets you mock-up and view what specific items, like couches and artwork, will look like in your new space. Houzz is all about making organization and sharing more efficient with their Ideabooks. Use Ideabooks to collect everything in one place. Organize project information such as room scene photos and product shots. Ideabooks are shareable and make collaboration uncomplicated. You can also use Houzz to draw or type on photos. Annotate specific design elements or highlight products on photos that you save in your Ideabooks. Find a photo on Houzz with floors that you love? Tag Kermans Flooring to get feedback on quality, cost, supply, and installation. Use Houzz to share your plans with everyone from friends and family to design consultants and contractors. Still early in your renovation planning and prefer to keep your ideas private for now? That’s an option, too. With Houzz, you control your account. You decide if and how you interact with other members of the online community. Kermans Flooring design consultants are ready to help every step of the way. We’ll make sure that you find the look you want at a price that fits your budget. Whether you are exploring ideas with Houzz or thinking about dropping by the showroom, our team is available to lend a hand and answer all of your flooring questions.